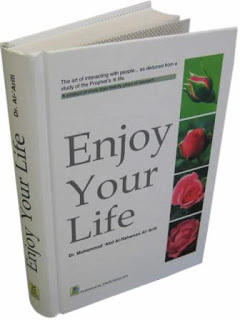 Enjoy Your Life by Sheikh Muhammad Al ‘Arifi is a great book that I read some years ago and thoroughly enjoyed reading, mashaaAllah. It doesn’t specifically focus on parenting but there are sections in the book where he address how to deal with children and he highlights the ways in which the Prophet dealt with his family and children. I wrote an in depth review of this book for Habibi Halaqas and it’s still on their website. To read my full review, click here! I wrote this article for Islamic Learning Materials a little while ago concerning raising children to be good Muslims even in non-Muslim countries. May it be of great benefit to you! Click here. How To Establish Your Child’s Islamic Identity Here’s another article of mine on Islamic Learning Materials on establishing your child’s Islamic identity. Click here. Read about this amazing mother’s routine and more on how she is trying to raise eight intelligent and God-conscious children. Click here to be taken to the article. Please take advantage of these wonderful videos about raising children in Islam!